April | 2012 | Life, Music and the Web… Revived! s0 yeah, im writing this 0ne using my w0rn n0kia580o. Im just pretty much testing h0w this one w0rks. This one aint the w0rdpress 4 n0kia app th0ugh just usin the regular m0bile br0wser. I just wanna create new means 4 me t0 start bl0ggin again c0z seems i aint findin time Levitra Online t0 write s0mething w/c shud n0t b d case, c0z this bl0g is like d0cumenting pieces of my lyf wid guia ^^. 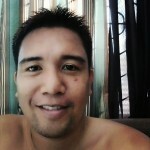 This entry was posted in MarcoLovesGuia.com on April 8, 2012 by Marco.